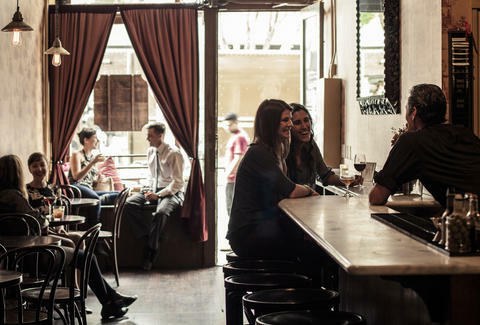 No bigger than a suburban home’s garage and maybe even smaller than your impossibly tiny, converted-closet bedroom (that we know you’re paying $2000 rent for), these 10 San Francisco bars are the city’s smallest watering holes. 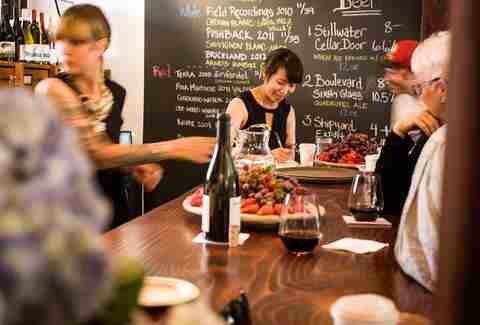 Yet, snag a stool and you just might be pulling up a seat at one of SF’s best craft beer bars or sipping a cocktail at one of our favorite neighborhood haunts. And that’s why, even though they could all fit together inside the holiday ice skating rink in Union Square (trust us, we did the math), it’s time you start stalking out a spot at one of these teensy bars. Primarily known for the cocktails (a few good beers on tap, too), this cozy space packs it in. Window and table seating line the walk up to the bar and a micro kitchen, built-for-one, shares the space in the back. Surely thousands have missed this bar walking down Hayes, more focused on getting some new kicks or a winter scarf than a drink. Look this place up, it’s a good find. 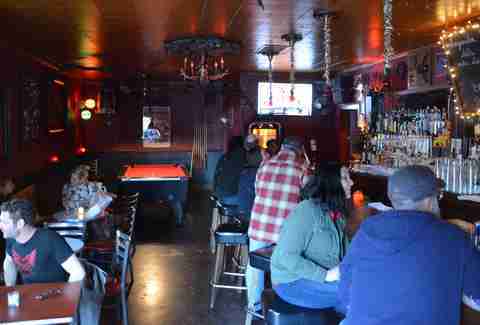 The Black Horse is well on its way to becoming legendary: the claw foot bathtub behind this six-stool bar has served as the icebox for their half-dozen bottled beers since 1996. The fire department thinks the max occupancy at this dive is 22, but you know they pack them in like sardines in this teensy dive. 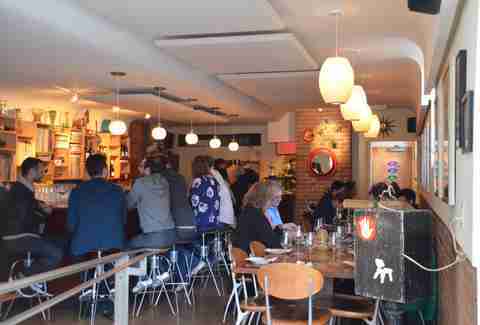 F&T occupies a warm and inviting space on Ivy St, far from the hustle and bustle of Hayes. This place has range, known by locals as a good spot for first dates or a quick drink before hitting one of the 20 restaurants in the area. BTW: you can really drink local here... it’s pretty much all California on this bar's menu. You don’t go to Phone Booth looking for the latest craft beer offering; this place is straight-up standard fare. But who doesn’t like a neighborhood joint known for stiff, cheap drinks? It’s all good when the jukebox starts spittin’... plus you might catch the bartender cutting up the six-pack rings before tossing them in the recycling bin. An environmentally conscious dive: be still our little hearts. Wood paneling and a vintage '70s fire pit in the corner... this is one fantastically dated dive. 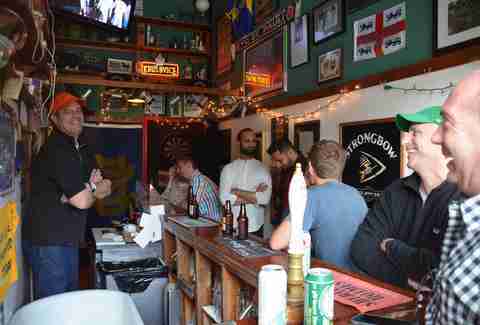 It’s also a bit of a Rorschach test: some patrons think it’s Irish themed, others say Swiss. Whatever your take, you’ll be hard pressed find a friendlier small bar (and cleaner, for that matter... you could almost eat off those freaking floors -- but, you know, don’t). 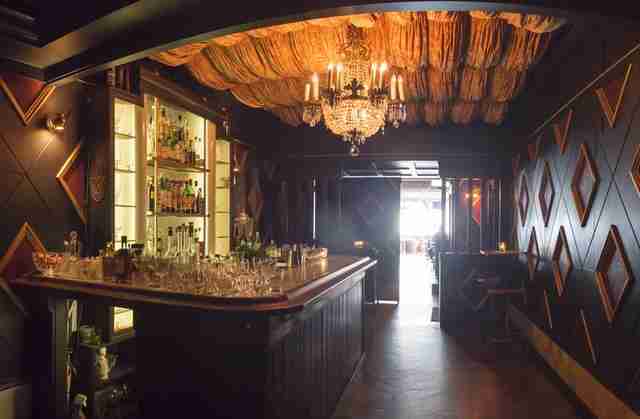 At 750sqft, this is the largest bar in the bunch: and the truth is, it hardly feels small, given its 18ft ceilings and monster wall of whiskeys (there are literally hundreds of them). Hard Water is a great place to people-watch as you make your way through the endless drink menu. A couple of booths near the door, a dozen stools at the bar, and some extra seating in back... otherwise this place is pretty tight on space. This eight-year-old neighborhood bar has some of the best beer on tap in the city, and a great mix of locals and passersby. 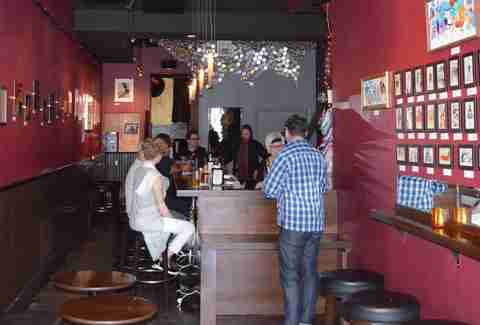 This former small record store turned bar is sandwiched between Valencia and Mission, and it’s well worth visiting. It can be a little tough to stand out in this trendy district, but 20 Spot doesn’t seem to be having a problem. Good wines and food push this place more towards being a restaurant, but it has a good bar feel. In the spirit of the Hideout at Dalva, or the other bars-within-bars across the city, SRO is one tiny space where you can let the bartender be your guide. 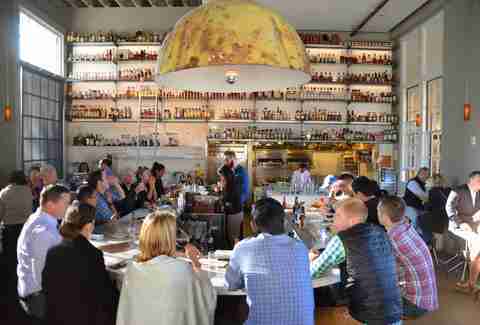 Born out of the famed and now defunct Big (bar), SRO brings the same tiny space approach to SoMa. This neighborhood bar doesn’t have a website, there aren’t many photos online, and even the phone number can be hard to track down, but that’s all part of what makes this a legendary dive bar kinda legendary. 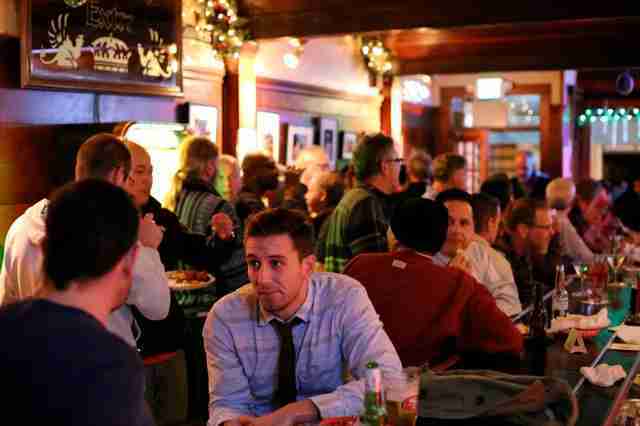 Pop in for a quick, cheap drink, or linger 'til 2am listening to stories about the good old days in the city. Seann Rooney is a food and beer freak from the Bay Area and now based in the Sacramento Delta. He has organized festivals, hosted food events, consulted with restaurants, and written about food and beer for almost two decades. Follow him on Twitter @RooneySeann.